Based on my last post regarding Richard Muller's lecture on Edwards' view of the freedom of the will, I was asked by several people if I would be willing to introduce the concepts which Edwards tackled in his seminal work The Freedom of the Will. I am happy to oblige, as this subject is very close to my heart and something which I spent a great deal of time reflecting on during my undergraduate studies. 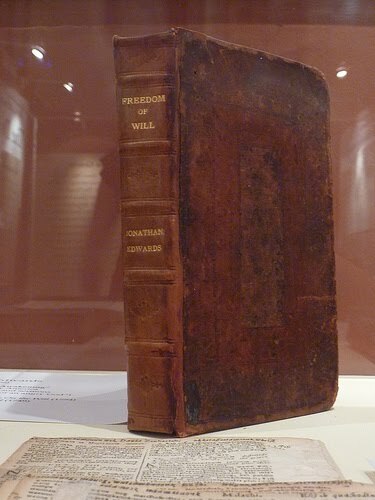 Therefore, this is going to be the beginning of a 6-Part series with a twofold purpose: First, I hope to introduce the uninitiated to Jonathan Edwards' arguments in his famous book The Freedom of the Will (in a heavily simplified and truncated form). It is a notoriously difficult book to read and understand, and it took me a tremendous amount of time and thought to be able to digest the arguments which Edwards laid out in the book, and so I hope to simplify the subject for our readers. This will lay the groundwork for our second purpose, which is to explore Jonathan Edwards' understanding of the Fall of Adam and Eve and how his views in FOTW play into his eventual conclusion of the origin of the Fall and God's role (if He played any) in mankind's descent into sin. Most of our readers will be very supportive of Edwards' project as we explore it in the first half, and will be quite critical of Edwards' conclusions in the second half as we reflect more carefully on what he specifically said about the Fall of Adam. I tend not to enjoy being an egghead, and I am tremendously interested in the common man in the church being able to understand the lofty concepts that the great theologians before us explored. 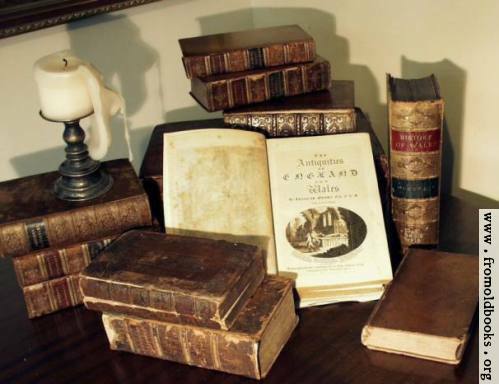 I will be speaking in a common and hopefully pastoral language here so that your average person in the pews might come away from reading these posts saying, "I think I know what Edwards was talking about!" That is certainly my hope here, anyway. At a Ligonier conference several years ago, I sat in the audience and listened attentively as R.C. Sproul was asked by an audience member, "If you could ask God one question, what would you ask Him?" He almost immediately replied, "I would ask Him how it was possible for Adam to fall." Dumbfounded, the high school student that I was, I didn’t see any problem with this question: "It is because of free-will!" I said to myself. Though Calvinistic, I believed that at the very least, Adam had free will before the Fall. He then gave an explanation of Jonathan Edwards’ teaching that "a person always acts according to their strongest desire at the given moment." Coupled with this teaching, he showed the immense problem, which arises when we consider how the Fall of man could have even happened in the first place. When one begins to consider the Fall of man and the many issues which are brought up because of it, the very complexity of it can at time be frustrating. However, if one is willing to forego the easy road in favor of an educated and philosophically rewarding journey, this study can draw the reader/theologian into other aspects of the theology of Edwards which one might not have considered before. My own study on this issue caused me to consider many things, including: the nature of sin, necessity and its relation to judgments of vice or virtue, the overpowering sovereignty of God, and also God’s desire for His own glory. Such issues are complex, but not impossible to conceive of. If the scriptures were given to us, and they are accurate, then they can take us far deeper than the greatest philosopher would ever dare to go. When you couple theology with a good philosopher, the density and weight of this subject can be dealt with in an understandable and commonsense way. When taking a tour of say, a factory, you may find out more about your guide than you might about the place which you are being shown. I think this is definitely the case with Jonathan Edwards and this aspect of his theology. What we find is a man who is not content to let sleeping dogs lie, or to simply allow the mystery to remain so. Instead we find a philosopher and theologian who definitely believed in the possibility of knowing the truth about even the deepest mysteries of God. It is to this fascinating issue and also to the absolutely brilliant mind of Jonathan Edwards that we turn our attention in the next part of this series, as we seek to understand Edwards’ view of the will and also to understand how that relates to the Fall of man and God’s sovereignty.